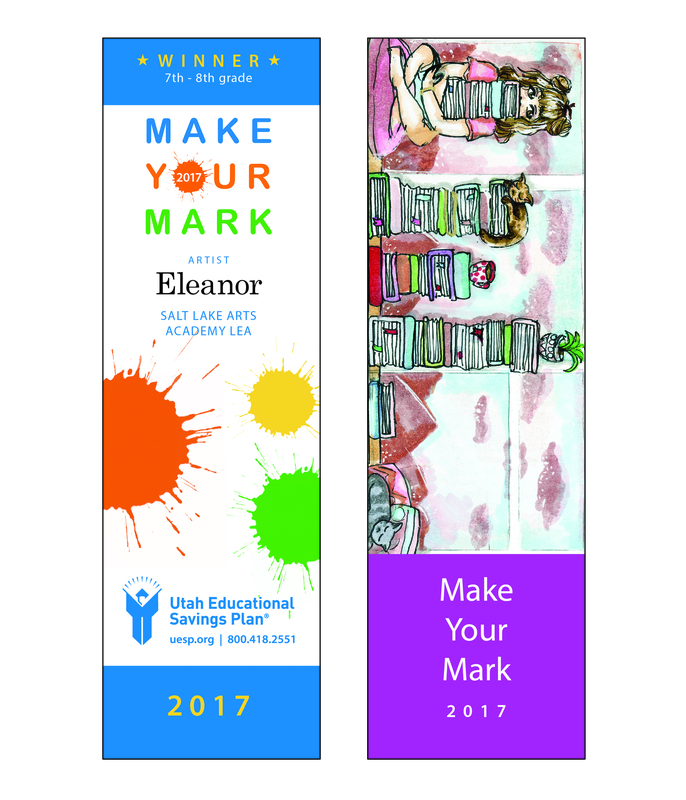 Eight Utah students each won a $1,000 college savings scholarship in October 2017 for demonstrating their artistic abilities in the Make Your Mark bookmark contest. 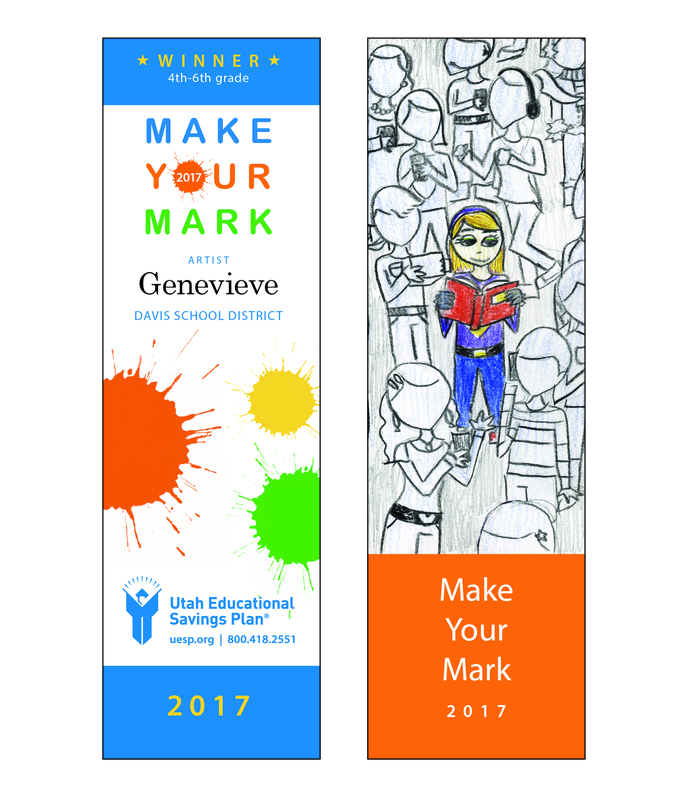 The contest, sponsored by UESP and StepUp to Higher Education, advances awareness about saving for higher education expenses while promoting art, reading and college preparation. 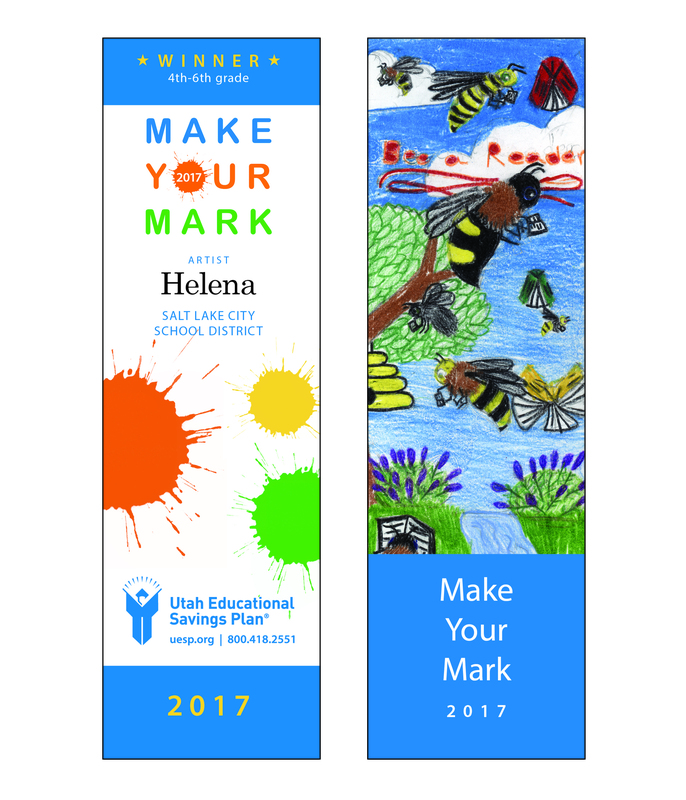 It runs during College Savings Month every September, and is in its eighth year. 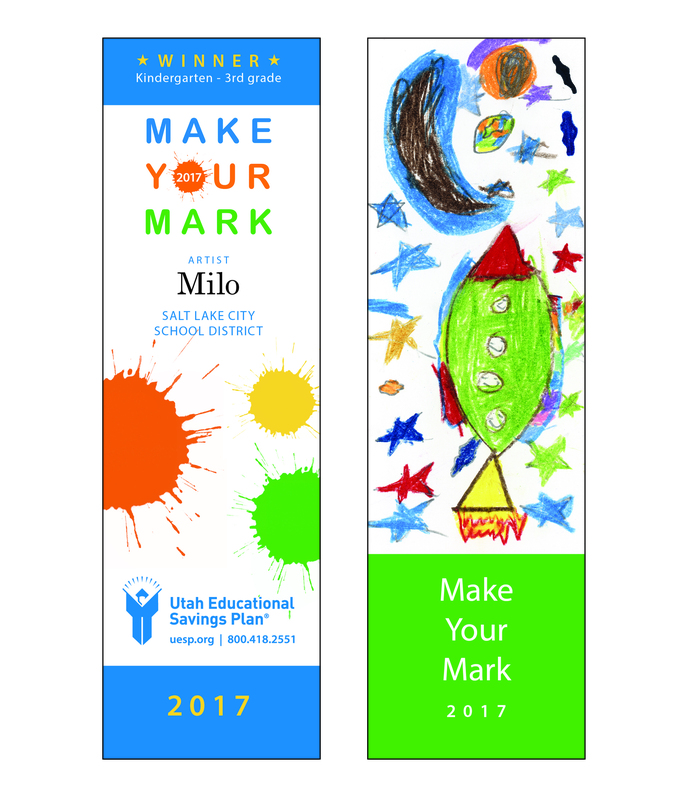 Kindergarten through third-grade winners were Milo P., a second-grader from Salt Lake City School District; and Sicily P., a third-grader from Alpine School District. 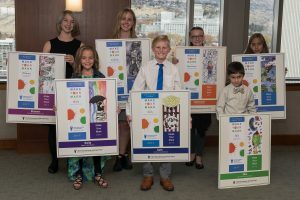 Two sixth-grade students were selected in the 4-6 category: Helena G. from Salt Lake City School District, and Genevieve M. from Davis School District. 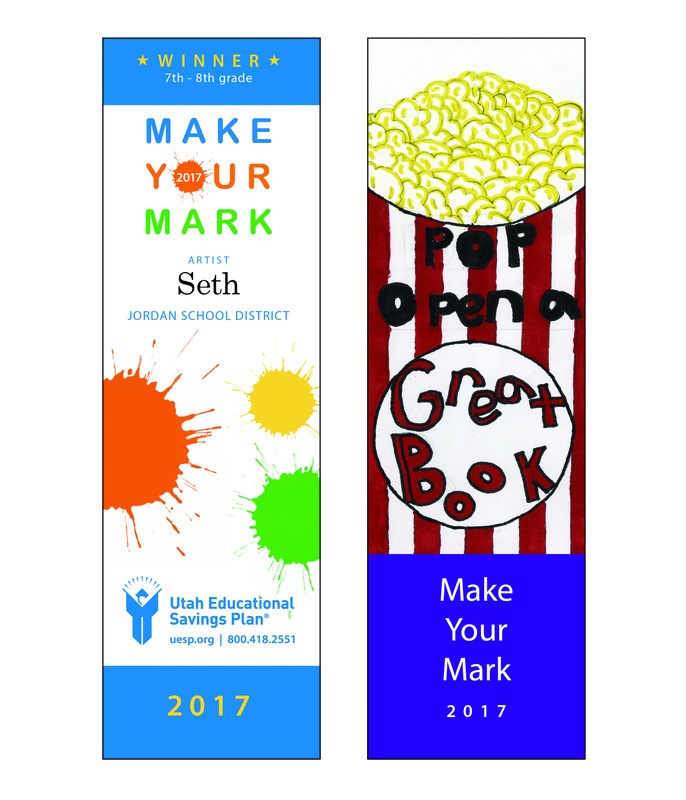 Seventh-grader Seth N. from North Star Academy LEA and eighth-grader Eleanor S. from Salt Lake Arts Academy LEA won the 7-8 category. 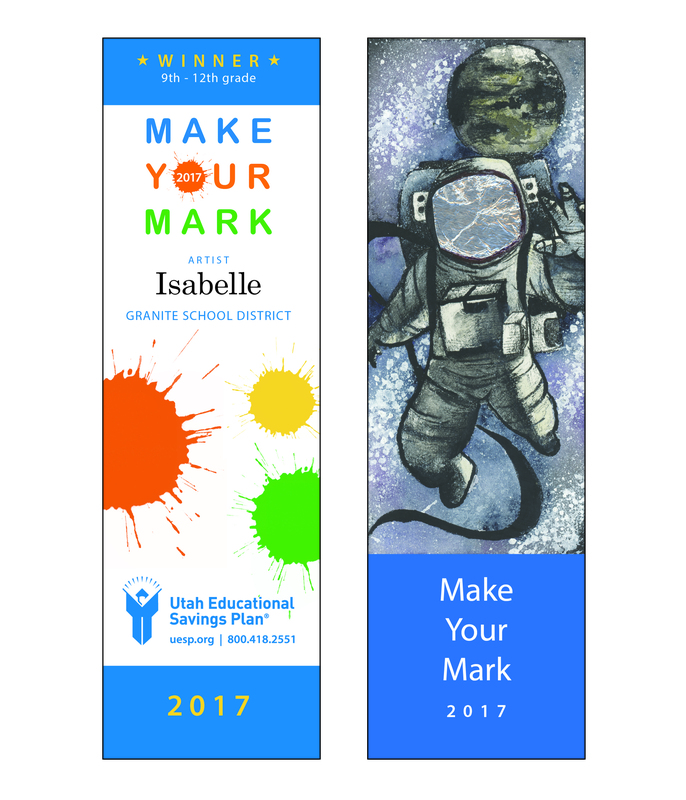 Two seniors, Isabella B. and Kekoa S., brought home the prizes for grades nine through 12. 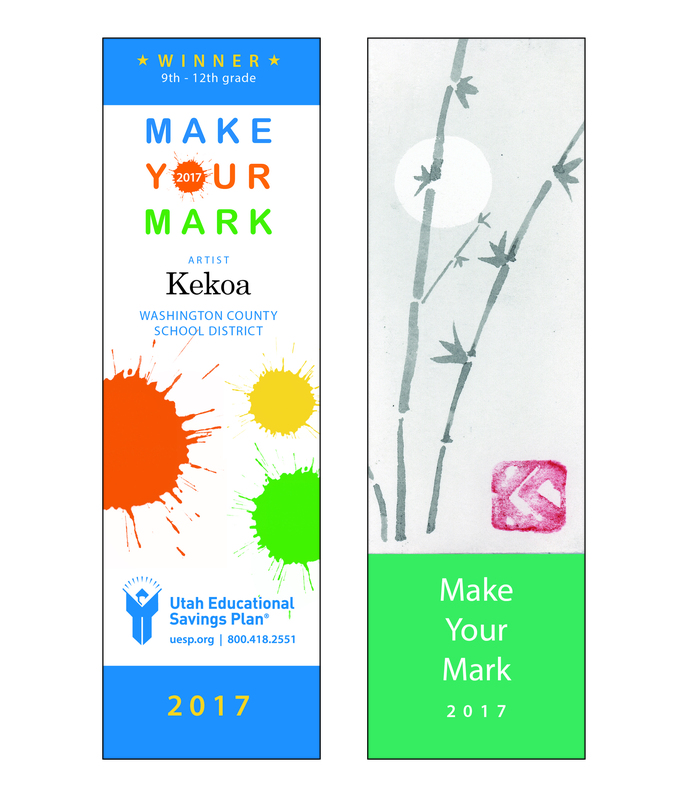 Isabella attends Granite School District, and Kekoa is enrolled in Washington County School District. 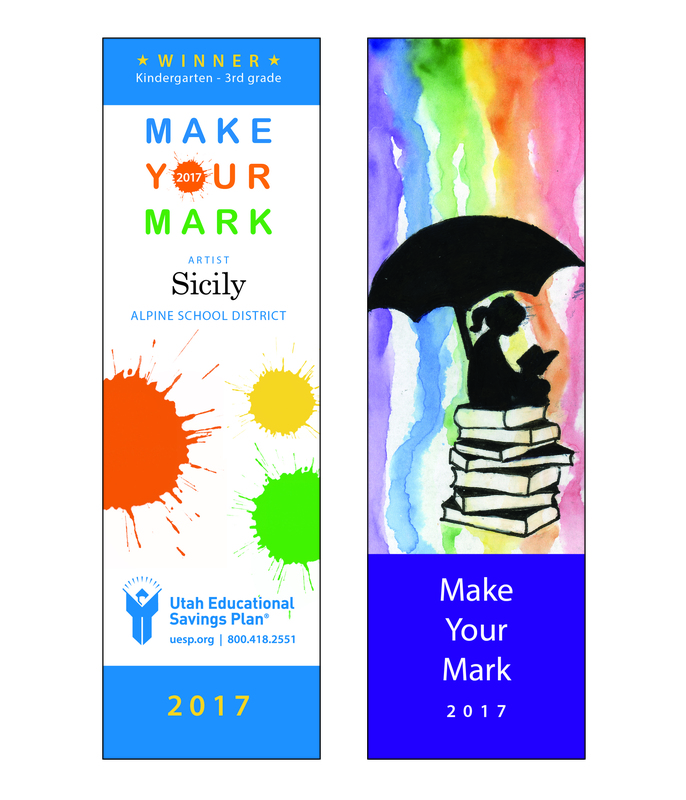 See the winning entries at my529.org (or my529.org after February 5).